Discussion in '2018 LitRPG Books' started by Allen White, Nov 29, 2018. Greetings, all! Really happy to be part of this community. I just published my first book, MURDERWORLD, issued by Severed Press. It's GameLit/soft LitRPG science fiction, set within a bloody, worldwide fight simulation heavily influenced by martial arts and action movies. 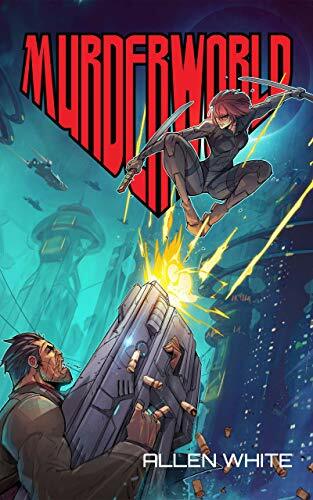 It's got a dash of cyberpunk flavor and social sci-fi, and is an entertaining and thought-provoking read. Find here it on Amazon. Also, if you live in the San Francisco Bay Area, I have physical copies on sale at Borderlands on Valencia St. in SF. You should be shopping there, in any case, as this store is a fantastic resource for science fiction and fantasy readers. I do hope you'll check it out. It's a labor of love, and though I'm obviously biased, it's a great read. An excellent stocking-stuffer! Welcome! You even got our weird title format correct! Haha. Glad you're with us. Lemme know if you have any questions. You even got our weird title format correct! I guessed that it was the publishing date, am I right? Is there a forum style guide? Thanks for the invite and for making me feel so welcome, Paul! You are correct, sir. One of the few who "got it" right away. No forum style guide, really. Our big rule is the golden one - do unto others as you would have them do unto you. We're a fairly relaxed and laid-back community.